Brigade Bay Lot #37 Gambier Island 5.21 acres of east facing views. This is a high bank property with limited to no direct water access. There are several huge view easy to develop building sites. The pictures only begin to show the view potential one needs to do some select tree clearing to uncover the true glitter of this gem. The existing drilled well is producing a very healthy 4gpm. Swim at the beach nestled between lots 12 and 15 this is a picture perfect protected bay ideal for children to spend hours hunting for crabs, swimming, and building rafts while you quietly enjoy reading that book. 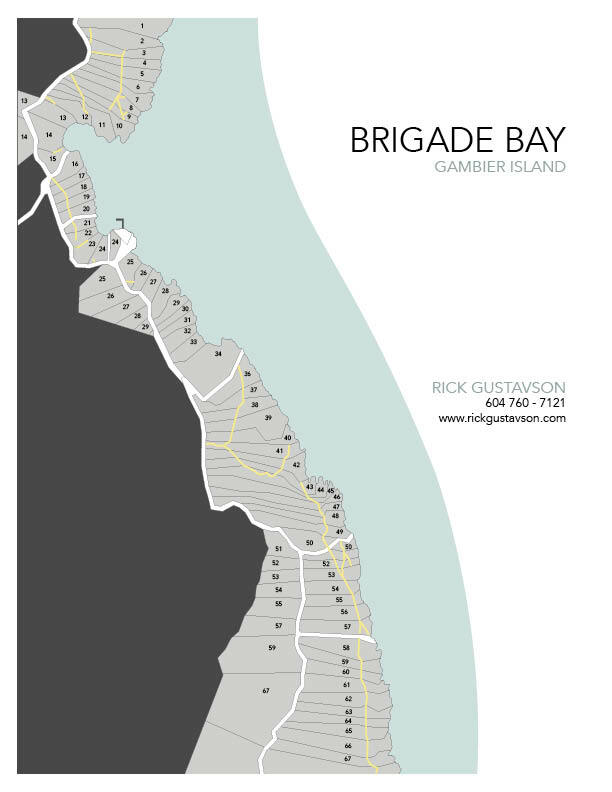 Brigade Bay has its own year-round marina for the exclusive use by the 68 property owners. Over half of the Brigade Bay properties have been developed, zoning permits two dwellings, there is no requirement to build. Fifteen minutes by boat from Lions Bay West Vancouver, under 1 hour from Downtown Vancouver.